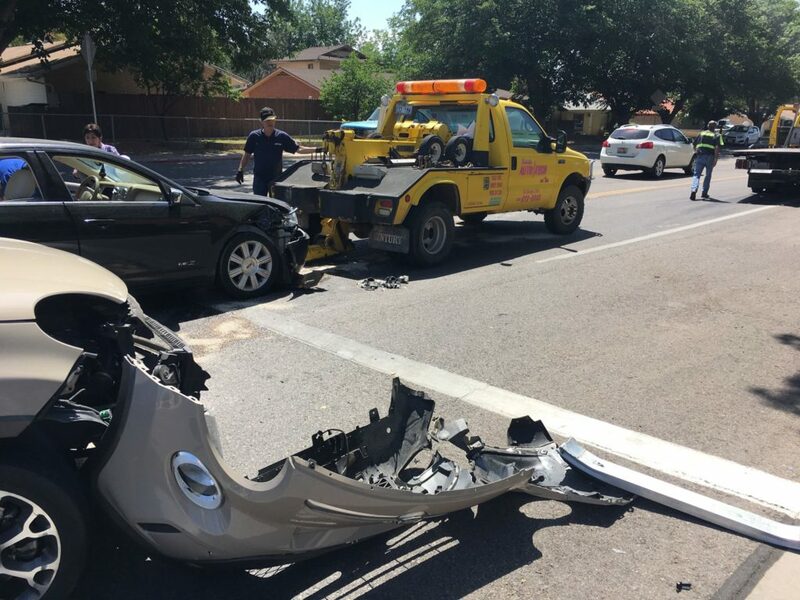 ST. GEORGE — Two vehicles were towed from the scene of a crash at the intersection of 400 East and 500 South in St. George Monday after a teen driver reportedly failed to yield to oncoming traffic. 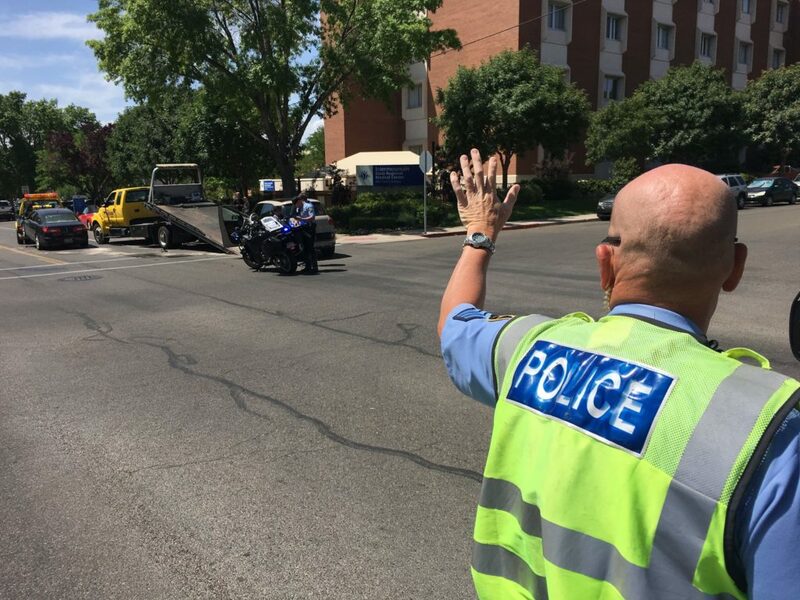 At approximately 11:45 a.m., a 17-year-old girl driving a taupe 2014 Fiat was eastbound on 500 South passing the old hospital when she came to a stop sign at 400 East, commonly known as Flood Street. 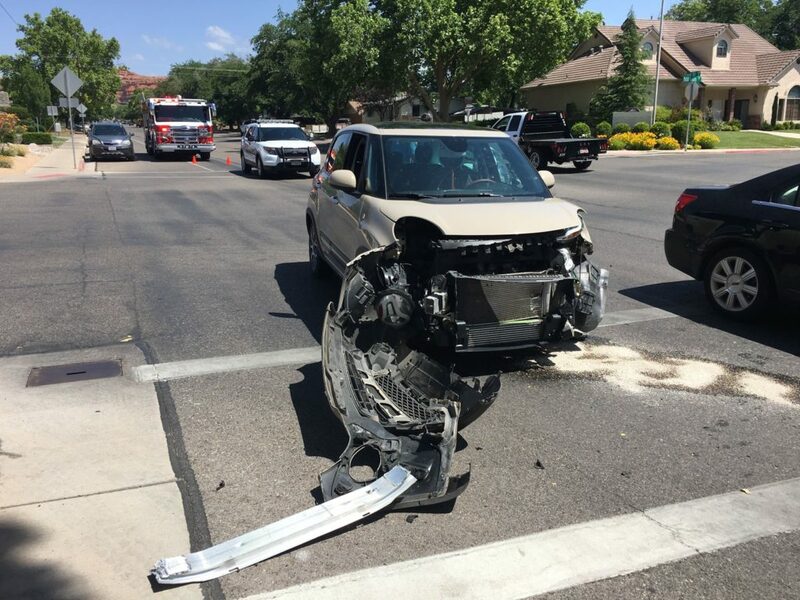 While the teen was stopped at the stop sign, a 41-year-old man was driving a black 2009 Lincoln MKZ south on Flood Street, St. George Police Officer Lona Trombley said. As the man approached the 500 South intersection, the teen pulled out in front of him, Trombley said. 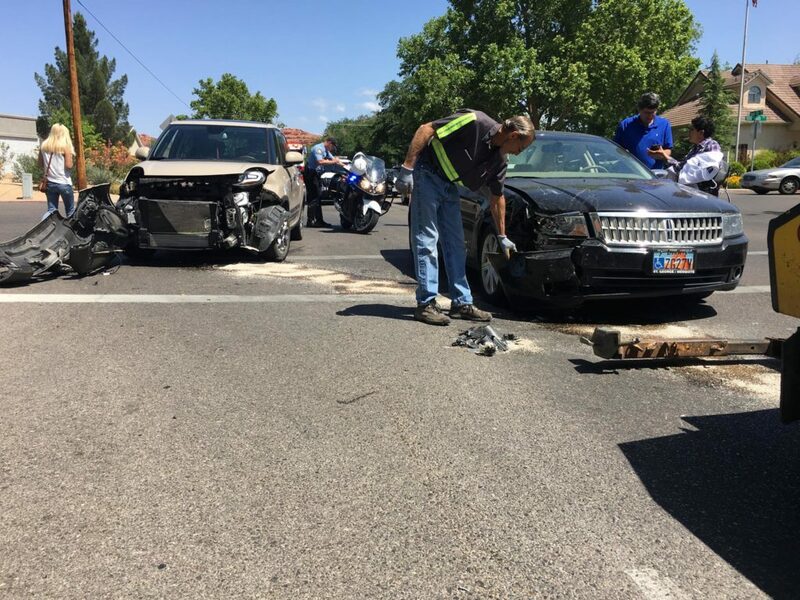 “She thought the black Lincoln had a stop sign at 400 East southbound, too,” Trombley said. 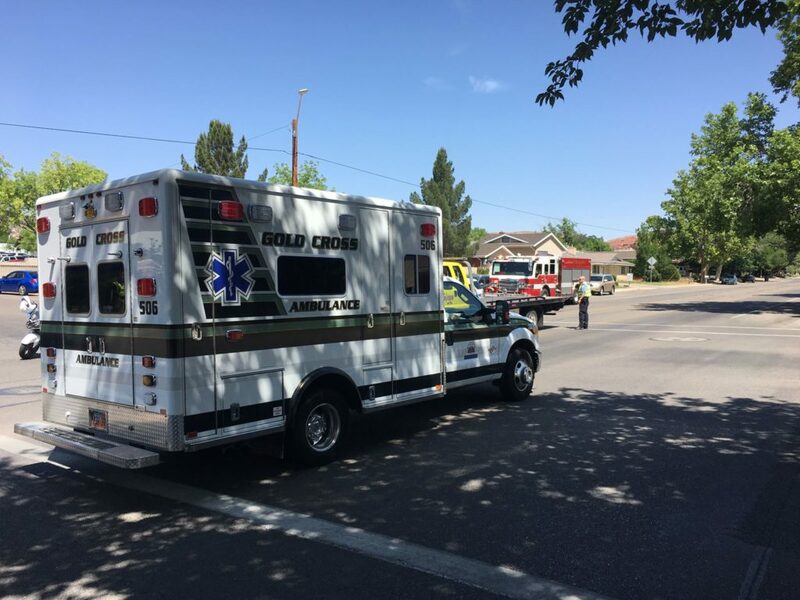 However, the man did not have a stop sign and the two vehicles crashed. 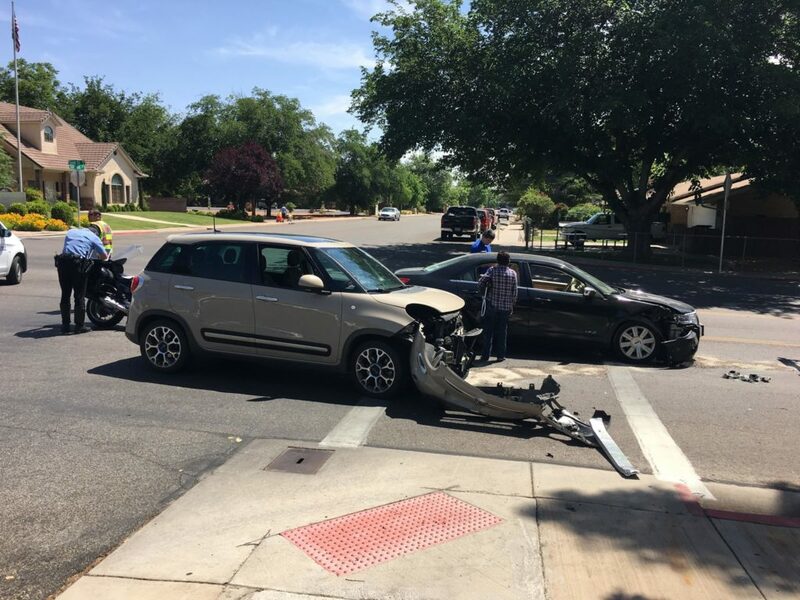 The impact of the collision forced the Fiat into a southbound direction, ripping the entire front bumper off the small SUV. 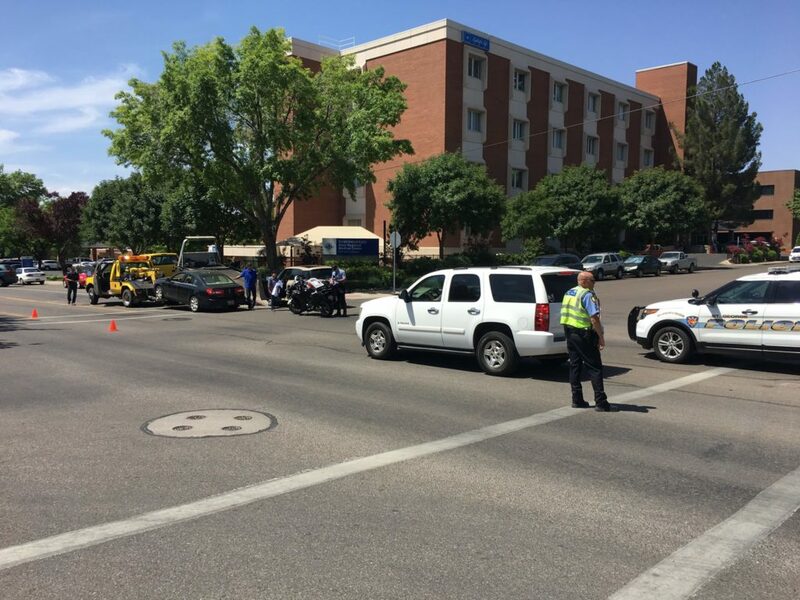 The crash rendered the two vehicles inoperable and both were subsequently towed from the scene. 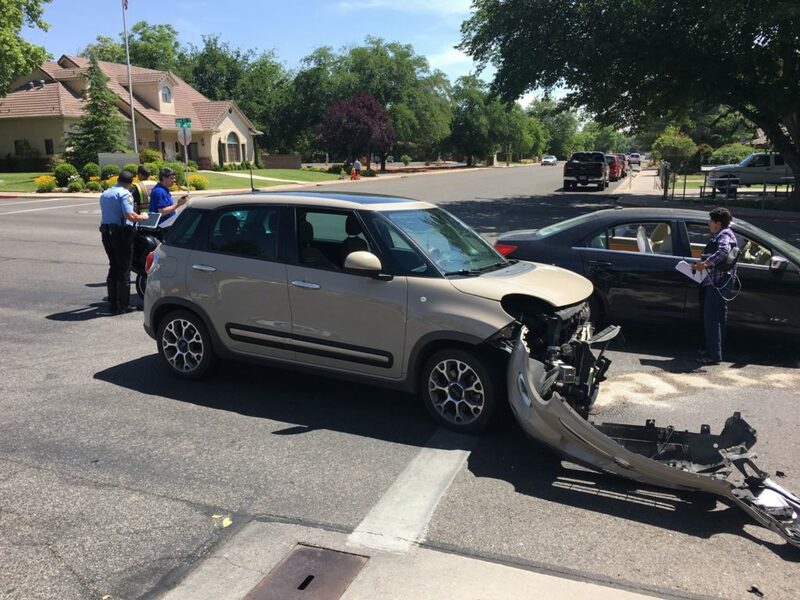 The driver of the Fiat was issued a citation for failure to yield after a stop sign, Trombley said.